1952 may have been Georgia Tech's most dominant team ever, save for the World War I era when John Heisman's 1917 wrecking crew ran roughshod over all comers by the tune of 491 points to 17. 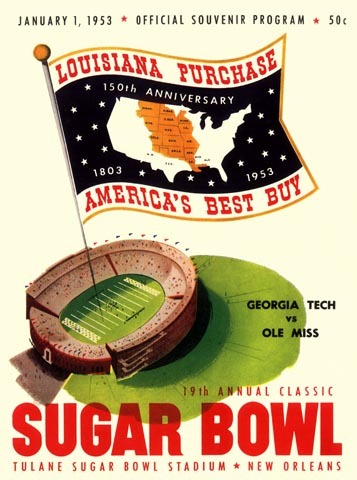 But this Bobby Dodd eleven was one for the ages, grinding twelve straight opponents into the dust, and capping it all off with an easy win over previously unbeaten Ole Miss in the Sugar Bowl. The Rebels were never in the game.